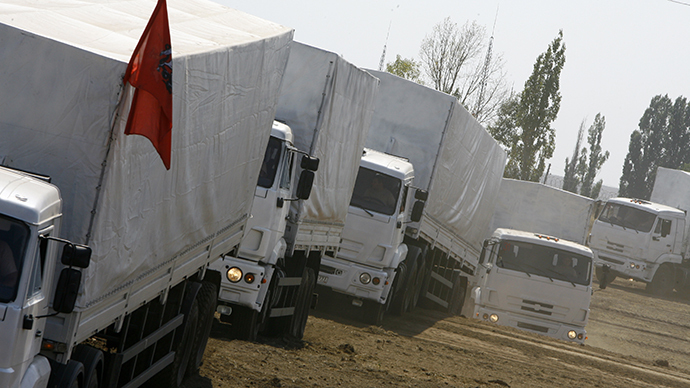 Ukraine Minister of Social Policy Lyudmila Denisova has signed an order officially recognizing the Russian convoy stuck at the border as humanitarian aid cargo of the International Committee of the Red Cross. "In accordance with Articles 4 and 5 of the Law of Ukraine 'On Humanitarian Aid' considering the initiative of the President of Ukraine Petro Poroshenko on receiving humanitarian aid within the framework of international humanitarian missions under the auspices of the International Committee of the Red Cross (ICRC) to recognize the cargo as humanitarian aid,” the document reads. 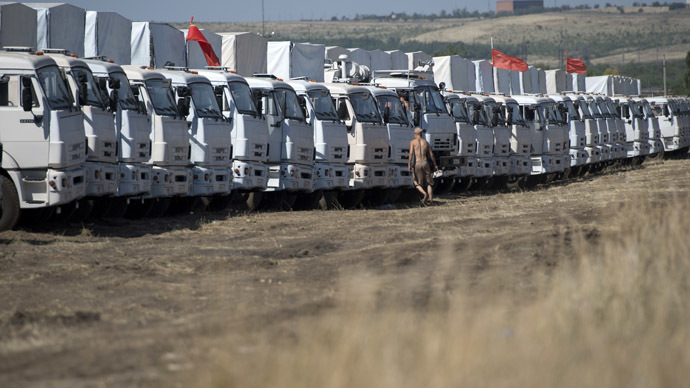 Russian and Ukrainian officials have agreed on Sunday to proceed with the inspection of the first group of 16 Russian trucks of the humanitarian convoy, the International Committee of the Red Cross (ICRC) said. The ICRC will be supervising the delivery of the aid and will go ahead after it receives security guarantees from the warring sides in Ukraine. The Russian aid shipment consists of 12 types of goods weighting 1856.3 tons according to an official letter from the Red Cross received by the Ukrainian ministry on Saturday, which complies with the cargo declared by Russia. “The recipient of humanitarian aid is the mission of the International Committee of the Red Cross in Ukraine. 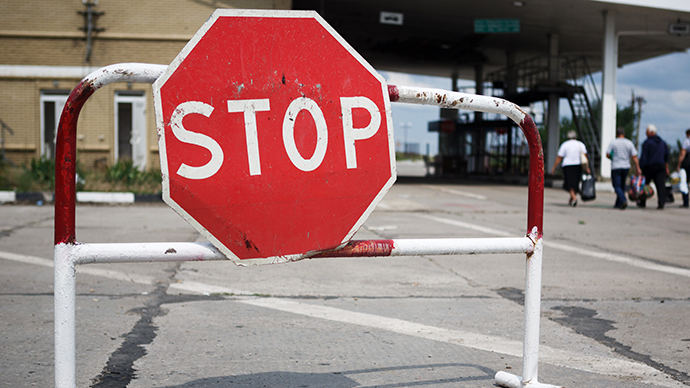 The cargo will be moved into Ukraine by the ICRC through the 'Donetsk' checkpoint,”Kiev cited the ICRC letter. 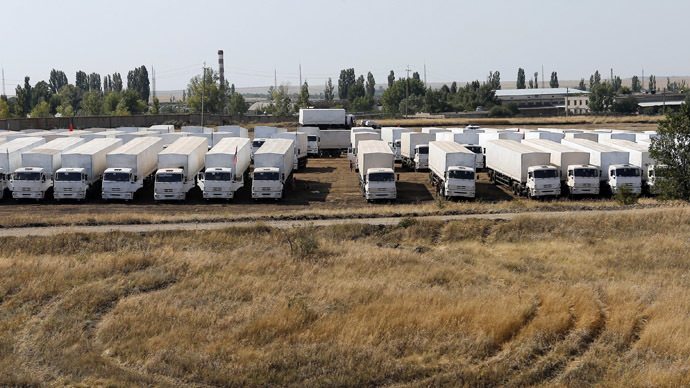 Kiev granted Russian cargo humanitarian aid status after the Red Cross sent a petition to Kiev to allow the Russian humanitarian aid to enter eastern Ukraine, after the Russian cargo was held at the Ukrainian border since August 14. “There remains one, of course, major challenge: we absolutely need security guarantees from all parties concerned before we can start moving,” Red Cross official Pascal Cuttat told the media on Saturday. 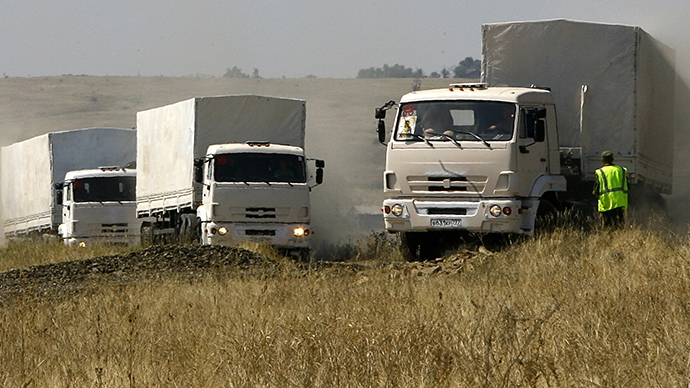 It is still unknown when the convoy will be allowed to enter Ukrainian territory as the procedures of the cargo clearing customs have reportedly not yet been completed.There has also been no word from Kiev about the security of the humanitarian mission following Friday's statement from Russia's Foreign Ministry that Kiev forces might attempt to block the agreed route and disrupt the aid delivery to Lugansk. 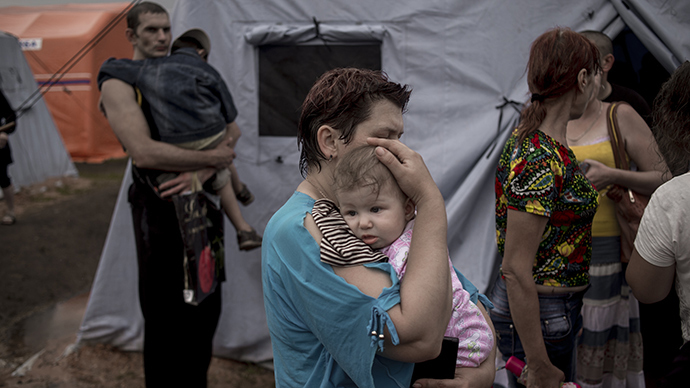 Russia sent 280 trucks with medical supplies, food, including baby food, sleeping bags and other basic necessities to southeastern Ukraine on Tuesday. But the cargo still has not reached the residents of the regions badly hit by the conflict as the Kiev government has procrastinated in designating Russian aid as humanitarian cargo.